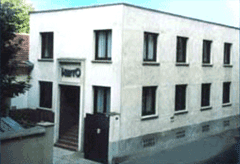 Heito is a french company created in 1948, still situated in Paris 15th arrondissement, who manufactures small bimetallic thermostats with fixed adjustment for professional and military use, marketed under the VIGITHERME registered trade mark. Ther are six basic models. They are manufactured on demand according to the customer's specified temperature and carefully controled unit by unit. Many adaptations: supports,cablings and waterproof mouldings are available to meet all your requirements. Strong experience, adaptability, quality, due time deliveries, after-sales service availability are the recognised qualities of the company. Previously, Heito was also manufacturing electrochemical measurement instruments. On January 2015 this activity was acquired by CHAUVIN ARNOUX leading french company in the field of measuring instruments enabling Heito to fully concentrate on the manufacturing and marketing of the Vigitherme range. HEITO, the "On request" specialist !